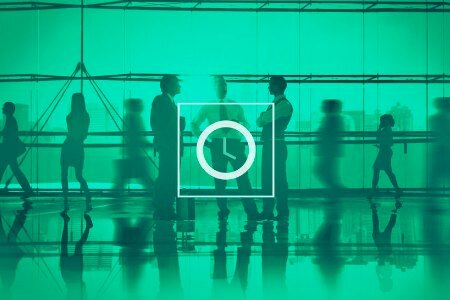 HCM technology provider HRnext announced a strategic partnership that will allow it to integrate the time and attendance application PrimeTime into its software suite. The company said PrimeTime will provide its customers, most of them small and mid-sized companies, with a better solution for time tracking through most devices. The tool allows employees to easily clock in, clock-out and request PTO. Meanwhile, it provides managers with time-tracking, scheduling and PTO approval tools, as well as the ability to generate customized reports. The application’s first phase is available this month. Additional functionality will be incorporated on an ongoing basis. Currently, HRnext has 45,000 active users. “With this relationship, we look forward to making better HR solutions available to more employers in Arizona and across the United States,” said HRnext partner Chris Voorhees. PrimeTime President Tim Regan expressed similar sentiments. “We view this partnership as a launching point for exponential growth with HRnext,” he said. Both firms are based in Phoenix. HRnext was founded in 2009 with the aim of providing a fully integrated, easy-to-implement HR solution. PrimeTime began operations in 1988 and offers a variety of software and hardware solutions to track and manage time and attendance. In June, Austin, Texas-based Asure Software purchased HRnext’s integrated HR source code. A provider of HCM and workspace management software, Asure had been reselling HRnext as part of its integrated solution for small and mid-sized businesses.